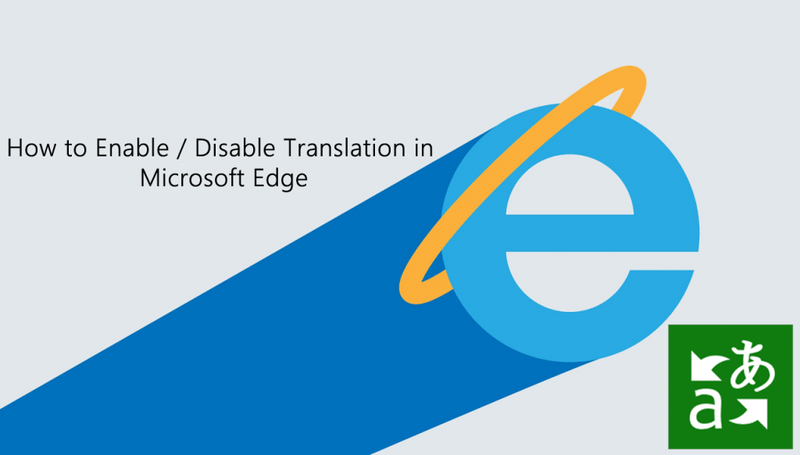 How to Enable/Disable Microsoft Translator in Microsoft Edge Chromium. Microsoft Translator is now integrated with Microsoft Edge Chromium. In this blog post, learn how you can manage this feature. Microsoft’s new Chromium-based Edge browser has introduced the native Microsoft Translator integration, with which it is possible to translate web pages. In the classic version of Edge browser, it was necessary for the users to download it as an extension. The web pages translation feature first made its appearance in the Edge Canary build 75.0.125.0. When you open a website in a different language than the browser will show you a quick dialog box lets you translate the text into your preferred language. Apart from this, you can also choose always to render web pages into a specific language. The Integration of Microsoft Translator works similar to the classic extension, but this time you don’t have to download it separately. 1. Launch Microsoft Edge on your computer. 2. Click on the ‘Settings and more‘ (…) icon available on the upper-right corner from the menu select Settings. The web translation functionality in Edge browser is under A/B testing, so if you do not see the same on your PC, then don’t fret. The feature will be soon be enabled for everyone. A Reddit user on this thread also confirmed the same information. 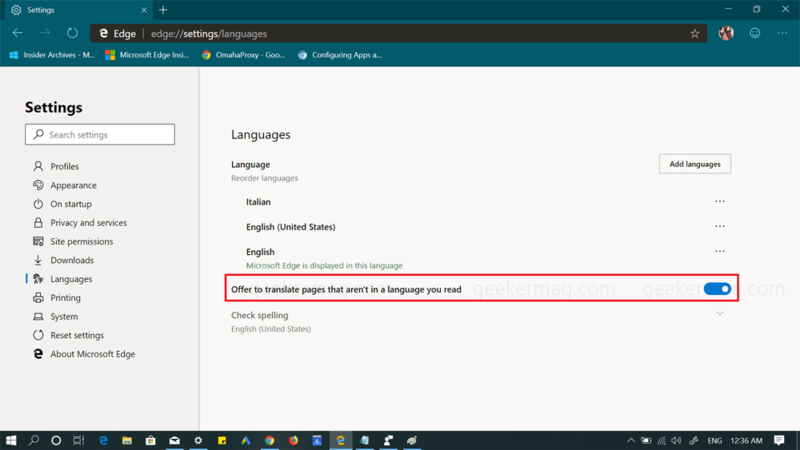 What are your thoughts about the Microsoft Translator native integration with Microsoft Edge Chromium? We would love to hear from you.